There are times when we make contact with call centres or businesses and find that we need to speak to someone in authority in order for our complaint or outstanding issue to be resolved. In most cases if this is the case then we are ideally looking to speak to the supervisor of the individual who has been dealing with our call initially. Why Can’t The Person I’m Talking To Help? In most call centre environments the majority of staff are there to answer calls and assist with general queries such as account balances, placing an order, checking the status of an order etc. When it comes to fielding complaints most staff are only trained to deal with very basic complaints and are also trained on how to deflect such complaints if possible. For this reason you should ideally be looking to speak to a team leader or supervisor – someone who will have the authority to help with your complaint – and perhaps resolve it over the telephone. How Do I Get To Speak To A Supervisor? 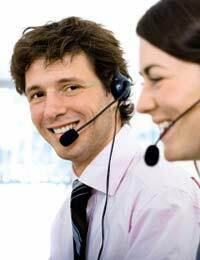 Whenever you call a call centre you will normally be placed in a queuing system. You should find an option to speak to someone regarding a query or complaint. If not then select the option for general queries and then wait to speak to a member of staff. Again it is worth remembering that your problem has not been caused directly by the individual you will speak to so it is important to keep calm and remain polite with them at all times. It is easy we understand to become irritated and angry but this only serves to inflame the situation and can lead to the employee refusing to continue with the call. You should be aware that this is their right and all call centre staff – indeed anyone responsible for fielding telephone calls – has the right to inform you they will terminate the call if you are abusive to them. When you do get to speak to a member of staff you will be asked to confirm your details – or at least those details held on their systems – and also explain the nature of your query. Again we understand you may have to do this perhaps twice during the call especially if you are passed to a supervisor but it is again important to remain calm and in control. I’m Being Told There Is No Supervisor Available, What Now? This is sometimes used as an excuse so that you will try to resolve your problem with the individual you are talking to. However most companies are genuine and if a supervisor isn’t free at the exact time you have called you have the right to ask for one to call you back. Make sure that you are concise when giving details of your name, address, and telephone number and nature of your problem. You may also be asked for an account number if it is a banking query. You have the right to refuse to give this information out until you speak to a supervisor or someone in authority. What Happens If They Don’t Call Back? The simple answer to this question is call the company back again. You have the right to do so especially if you have been told a member of staff would call to speak to you regarding your query. If they say they will call back today but give no time then allow them to have the day to do so. If they have not called back then you should call again the next day and repeat the process, this time detailing the fact you have already called once and have received no call back as promised. If you can do so then call first thing in the morning before lines start to get busy. Alternatively mid-afternoon is always a quiet time to call and you may have more luck then. Lunchtimes should be avoided although we understand that many of us can only make calls at this time because of work commitments. Whatever time you call however you should try and remain calm and patient regardless of how much you feel you are being made to wait.